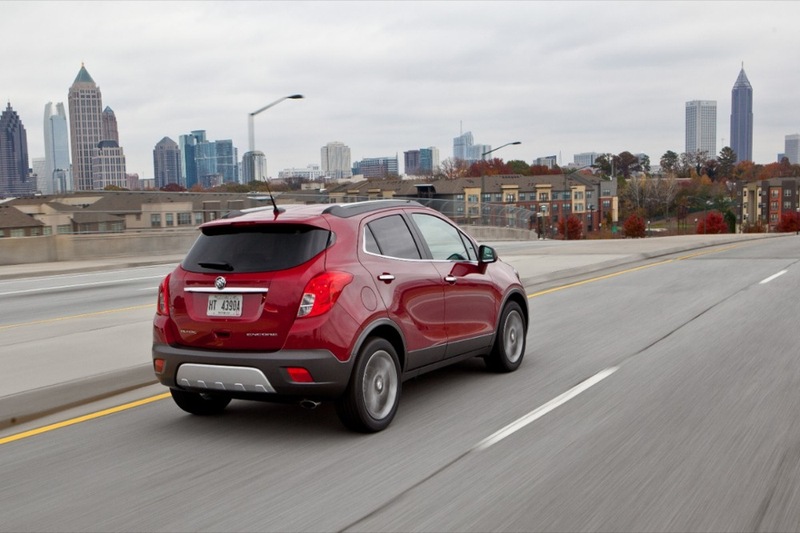 Say hello to the 2013 Buick Encore: the latest vehicle in the Tri-Shield brand’s renaissance. Let’s get the formalities out of the way first, shall we? 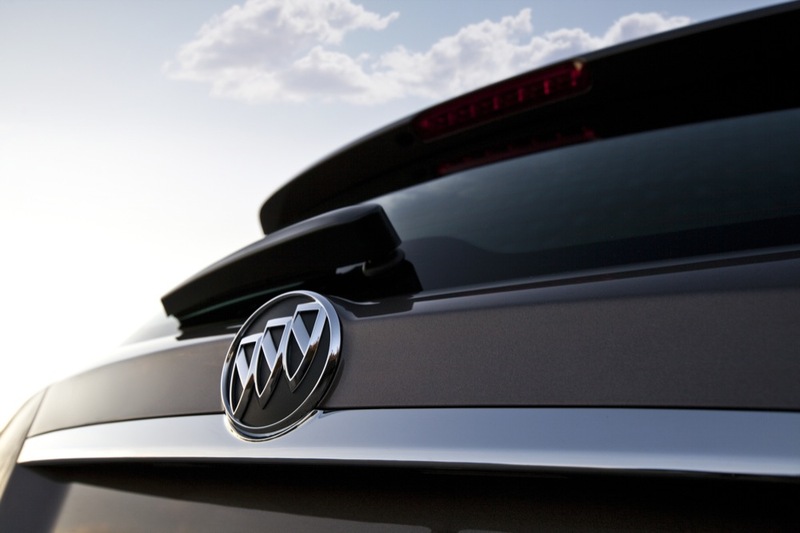 The latest addition to the Buick lineup will also introduce an enhanced version of the Gamma II architecture, along with seating for 5, 10 standard airbags, and is powered by the now-familiar 1.4 liter turbo-charged four-cylinder Ecotec engine mated to a six-speed automatic transmission — the same powertrain seen in the Chevy Cruze. 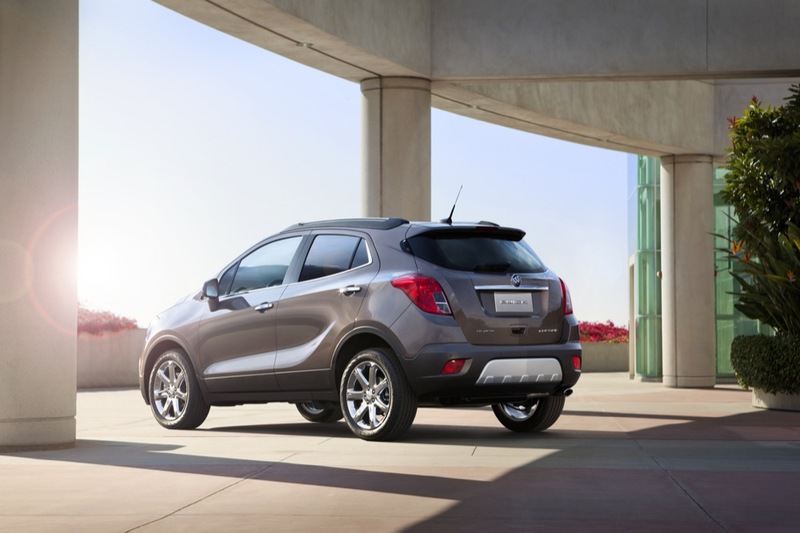 But unlike the sedan which shares its engine, the Encore offers an all-wheel drive system. 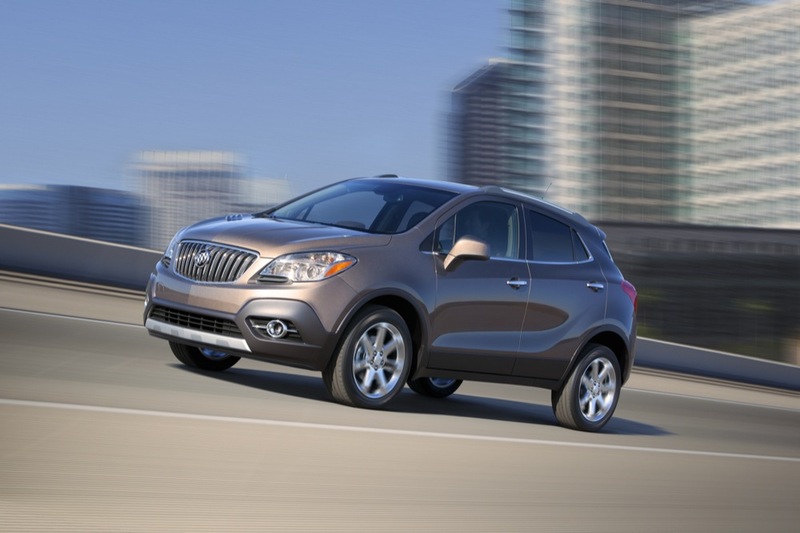 Furthermore, the Encore sits on standard 18-inch, five-spoke aluminum wheels, with seven-spoke chrome units offered as an option. Here’s something interesting: Buick made it a point to tell us that a single 18-inch tire specification is part of this global platform that was designed for “more precise suspension tuning, driving refinement, quietness, and a felling of control.” We’re fans of big wheels (so is Bob Lutz)… and of globalization. 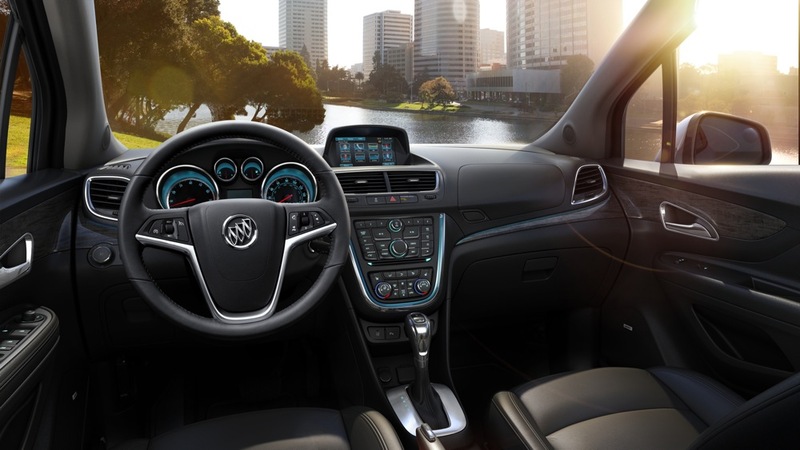 The IntelliLink infotainment system — with a full-color seven-inch LCD — is standard, with navigation and rear camera systems offered as options. 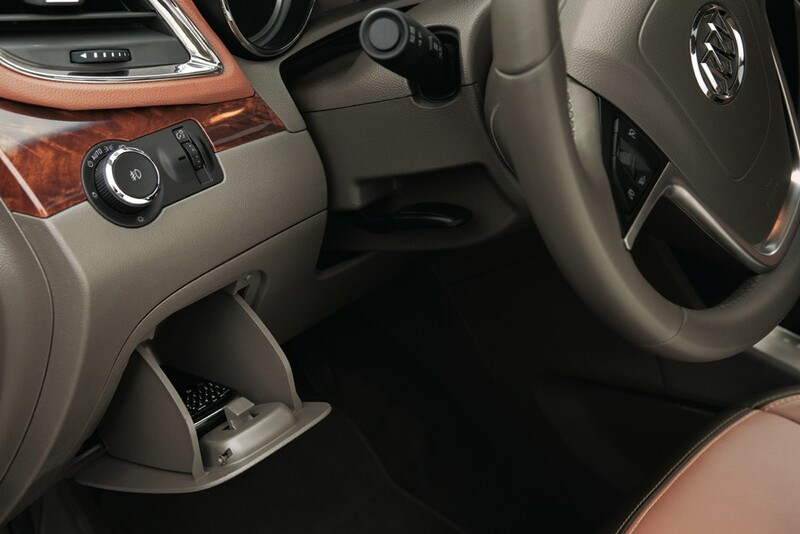 Other available tech gizmos include a forward collision alert and lane departure warning system, front and rear park assist, and back-up camera; no passive entry here, folks — how’s that for a luxury vehicle? And lest we take OnStar for granted — the Encore has all the OnStar goodness — as you would expect. 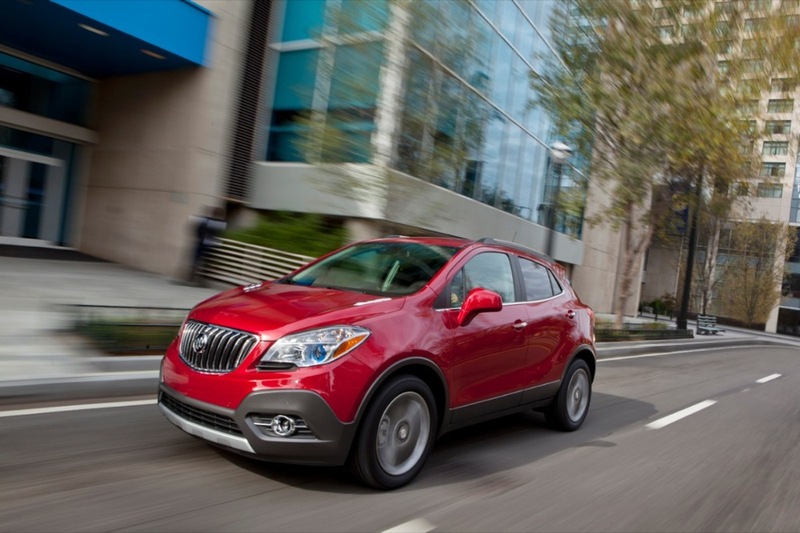 To comfortably accommodate its passengers, the Encore brings premium seats with high-density foam for increased comfort on long drives. We’ve sampled these on the Verano — and liked them appreciably. The standard seating trim is “contemporary cloth/leatherette”. Leather is optional, as are heated front seats and a heated steering wheel. 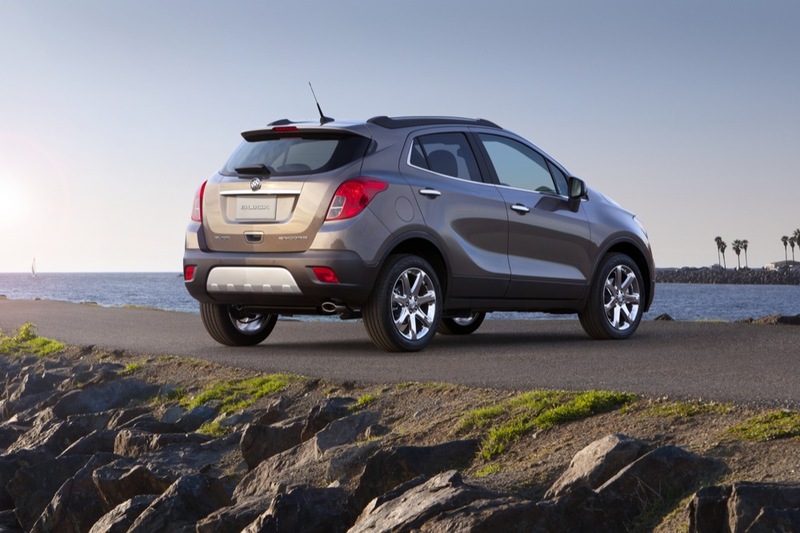 Like all new Buicks, the Encore features QuietTuning. This includes the use of sound-absorbing materials in the cabin, under the hood and in the wheel house liners; an acoustically-treated headliner with a tuned gap between it and the high-strength-steel roof panel; the HydraMatic 6T40 six-speed transmission with neutral gear disengagement: quiet-tuned 18-inch Continental tires; aero-optimized outside mirrors; an ultra-quiet engine alternator; an acoustic-laminated windshield and thicker 5mm side window glass, as well as foam baffle insulation at the opening of body structure cavities. 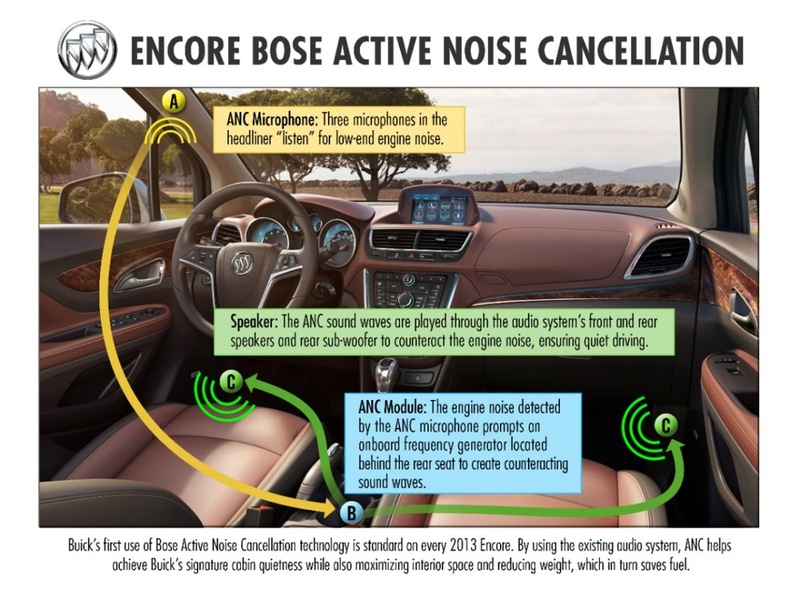 On top of these silencing properties, the Encore also introduces Active Quiet Tuning — whereby microphones located in the cabin’s ceiling detect engine noise. The noise is then processed by a computer that subsequently directs sound waves through the audio system’s speakers and subwoofer. 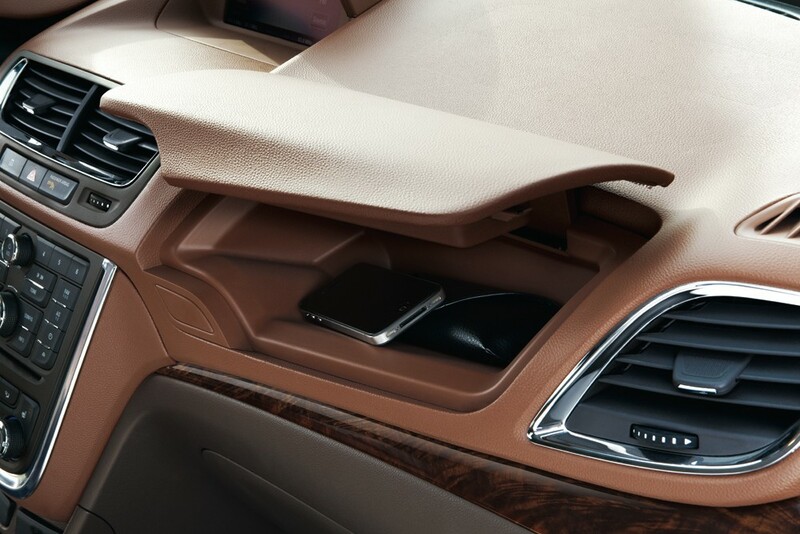 Think of it as Bose QuietComfort headphones… built into your car. 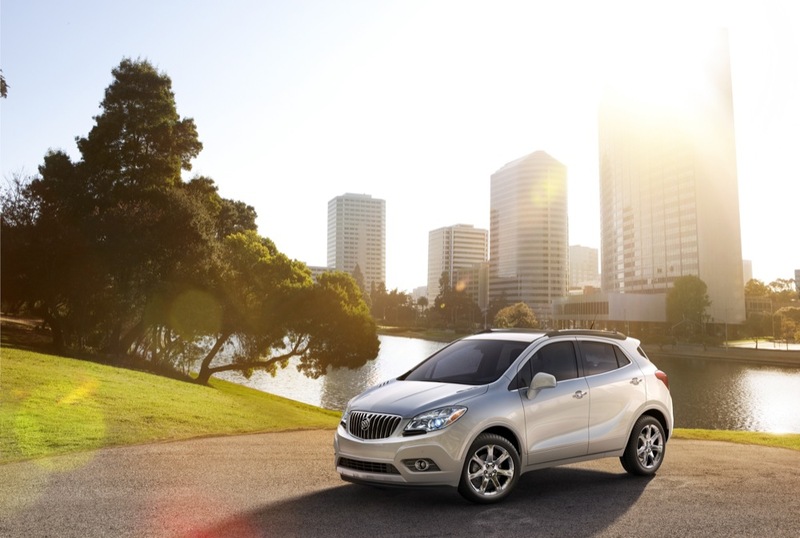 This, ladies and gents, Buick’s first-ever implementation of Active QuietTuning. 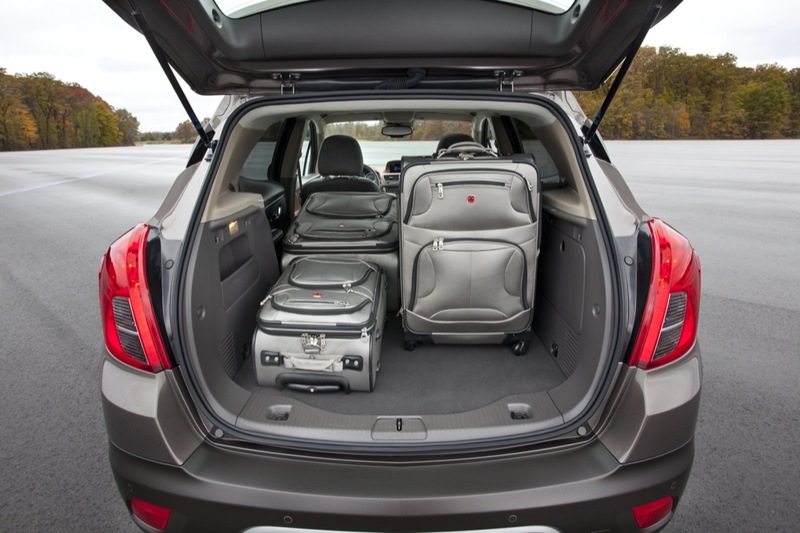 The interior delivers a respectable 18.8 cubic feet (533 liters) of storage behind the rear seat and 48.4 cubic feet (1,372 liters) with the rear seat folded down. The front passenger seats folds flat, creating even more interior space. 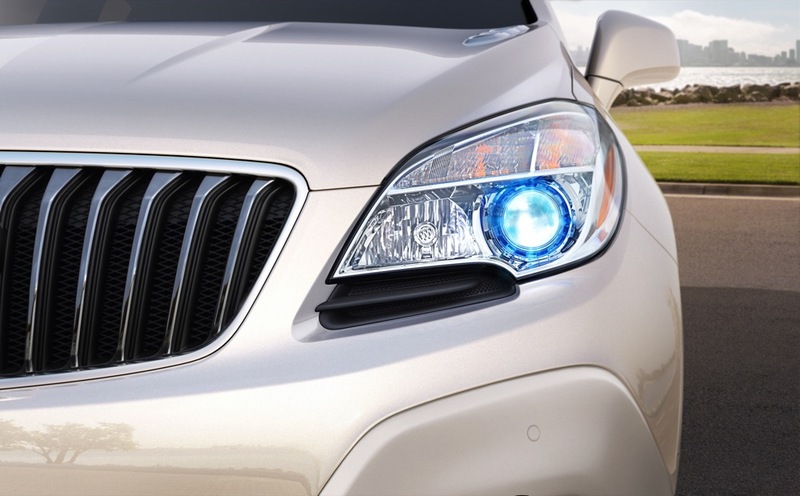 On the outside, Buick’s signature blue-accented projector-beam headlamps (with a small Buick logo in the day-time running light) are standard equipment — and the exterior will offer nine colors. This crossover comes in at 168.6 inches in length (just a wee bit shorter than what our sources let on) — placing it squarely in the subcompact class. It will be made for the U.S. market in South Korea. We will get a hands-on look at the Encore first thing this morning, with the world-famous GM Authority Take following shortly after. As for now, do the looks make the grade? The perfect vehicle … ’till I read made in Korea. I wanted to support the U.S. Economic recovery with a high-dollar purchase. So this will mean more dollars flowing overseas. That is a huge disappointment. Now I’m back to trying to get GM to dress up the Sonic. 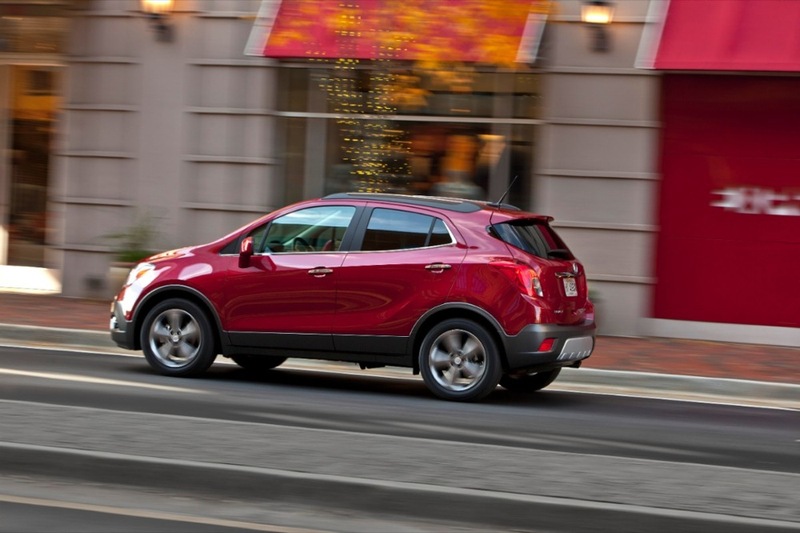 Why can’t GM make a high-quality, small hatchback or CUV in the U.S.? Still waiting. “Made in Korea” doesn’t mean “Death to America”. What we have to understand is that not every vehicle sold in the United States can be built in the United States. There may very well not be the capacity at a capable plant in the US. And don’t say “build a new factory”. It’s not that simple. There are environmental concerns that must be overcome, land space must be acquired, permits issued, workers trained…the list goes on and on. It takes longer than the production life of a given model to build a factory to today’s standards. In other words….YEARS! 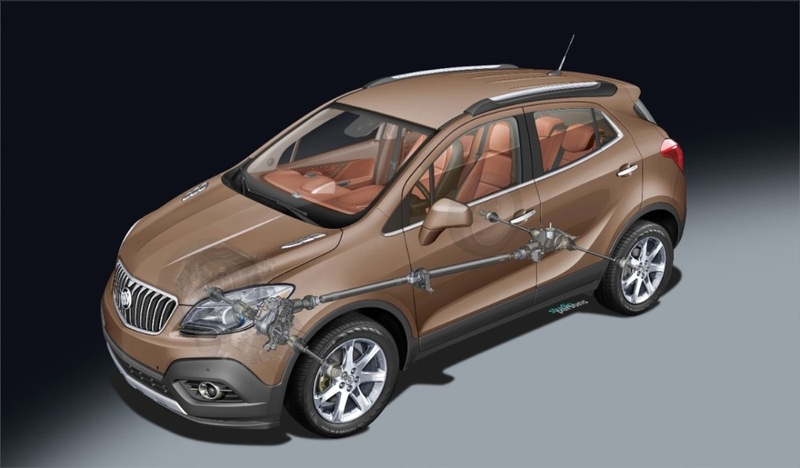 By the time your US factory is built this niche (ultra small luxury SUV) that Buick is creating would have already been filled by Lexus or some other competitor. Good points Richard. Also, every car you buy has components that are global. I do however care about where the vehicle was assembled. I would buy a Subaru because it’s built in Indiana, but have lost respect for the Silverado because it’s made in Canada (not all of them I know). Not to spite our Canookian neighbors, but because those jobs support whole towns. The interior is beautiful, gorgeously done with nice warm colors. A touch of cold metal doesn’t hurt. How hadn’t is this vehicle? I’m afraid to see performance numbers with that 1.4 engine. Very interested to see the AWD mpg and other performance #s. I really like the overall stance and look of this car. The only bad part for me is that GM waited so long to make it, that it’s almost time for me to move to a larger vehicle. Would have been perfect 5 years ago. Meh……….nice looking, it’ll sell in decent numbers to urban soft-roaders. Just seems to be too much of a “safe” design, nothing groundbreaking or head-turning. Plus for me, the rear looks a little too busy for me. 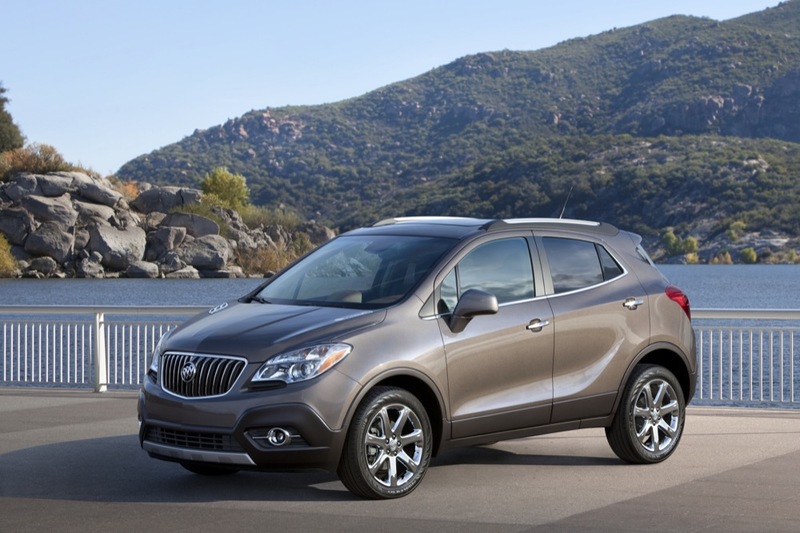 So Buick gets a crossover version of the Sonic. Badge engineering and duplicaiton continue at GM, where the song remains the same. It seems you have a misunderstanding of what badge engineering is. Badge engineering is when you take a vehicle and change nothing but the badge or a grille (or some other superficial moniker) with no other appreciable mechanical changes and call it a different vehicle. What we see here is platform sharing. This is when you take the basic underpinnings of a vehicle and change mechanical bits and pieces as well as body panels to arrive at a vehicle which usually looks and performs completely different from the source. EVERY manufacturer does it, with varying levels of success. Perhaps one of the most expensive platform sharing exercises was the Ferrari Enzo/Maserati MC12. Volkswagen is the biggest platform sharing manufacturer. The Golf, for example is built on a chassis that supports at least 16 different models from four different brands. I fully understand platform sharing, but changing body panels isn’t really that far from badge engineering in many cases. Enclave-Acadia-Outlook-Traverse. VUE, Equinox-Torrent-Terrain. Cruze-Verano. Shall I go on? But my real point is that this vehicle is not needed, as a Buick at least. 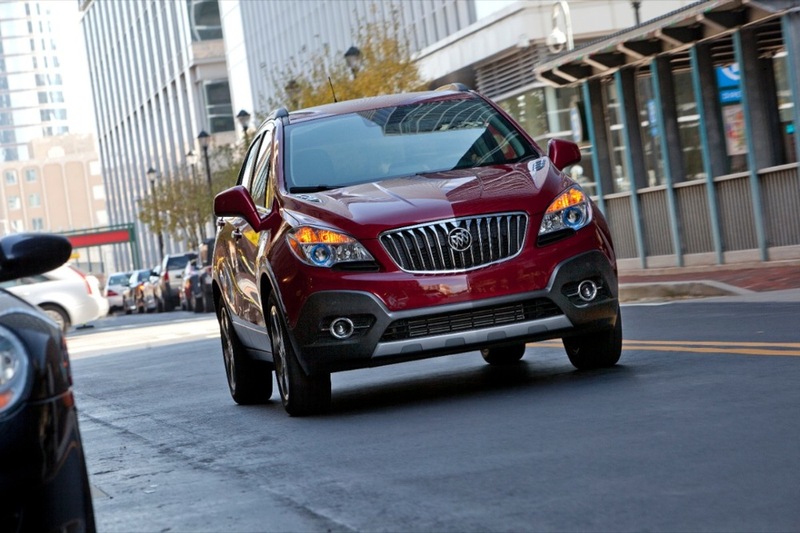 Most Buick dealers already are GMC dealers that sell the (imho already unneeded) Terrain. So why doesn’t Chevy get a small SUV first? Orlando isn’t coming to the US, HHR is gone so there is no family size vehicle in the low $20k range. And Chevy almost never gets anything of consequence first or for reasonable period of time as an exclusive. The beat goes on. Firstly, this vehicle doesn’t fit the bill of badge engineering because there is nothing else in the GM lineup that is remotely like it. Secondly, Chevrolet usually gets the platforms last because of simple economics. If Chevrolet gets it first it will have to be a lot cheaper than the initial cost to market would demand it be sold at to gain a profit in a timely fashion. So you see Cadillac, GMC, and Buick getting some things first and then economies of scale allow Chevrolet to get a bread-and-butter model. Other models (like the Cruze) are critical enough and will sell in high enough volumes to pay for themselves. Not really simple, I suppose, but mathematics nonetheless. I’m not a fan of badge engineering, but this is NOT badge engineering. For crying out loud, it’s not even the same wheelbase as the Sonic and it is available with AWD. How is that badge engineering? As Richard said, this is platform sharing, and it’s the only way to be profitable. Go start your own car company if you don’t like it. I think the Cruze-Verano are not badge engineering. That looks like the picture I saw in September. We will sell alot of these. 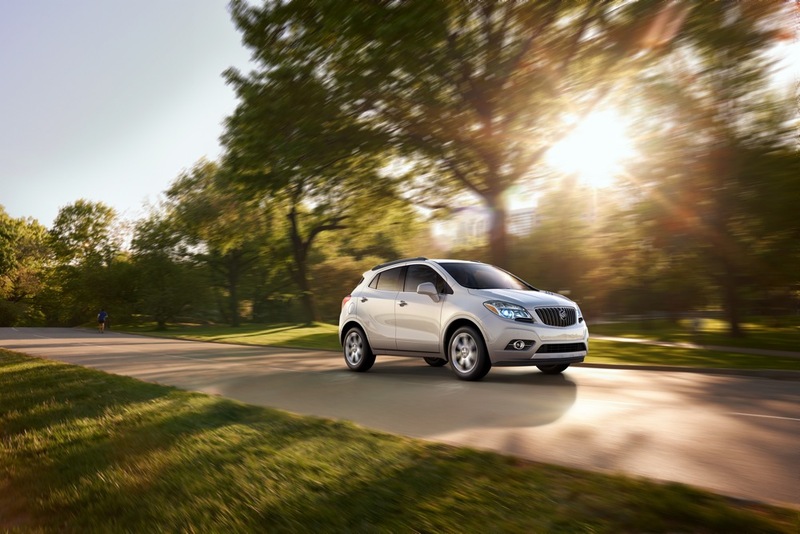 It’s a perfect “step up” for owners of Vibes and other similar vehicles. a. Lower the car 2″ front and rear. b. Make the roof line over the front seats 1″ lower. I know the last option is near impossible to change, but the angle of roof line toward the rear of the car makes it look tall and short (lengthwise). The raised stance will be important for aspects of AWD functionality. 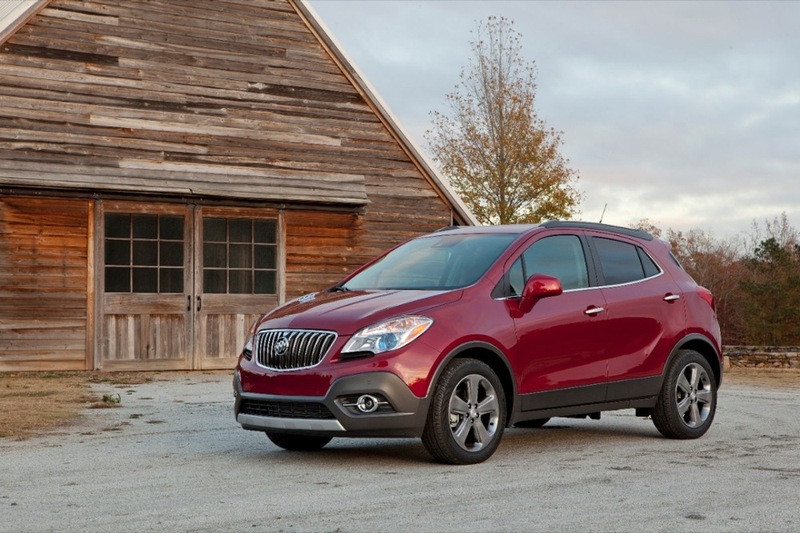 Yea me too, albeit grudginly, though just because it doesnt look like a 2nd gen RAV4 econobox and looks decent does NOT mean it belongs in Buick. It will probably still sell well. @alex, not bad on the curb weight, still probably 8.5-9 sec 0-60. Any other engines being offered like the 2.5? @Ricardo Probably not in the ‘States. 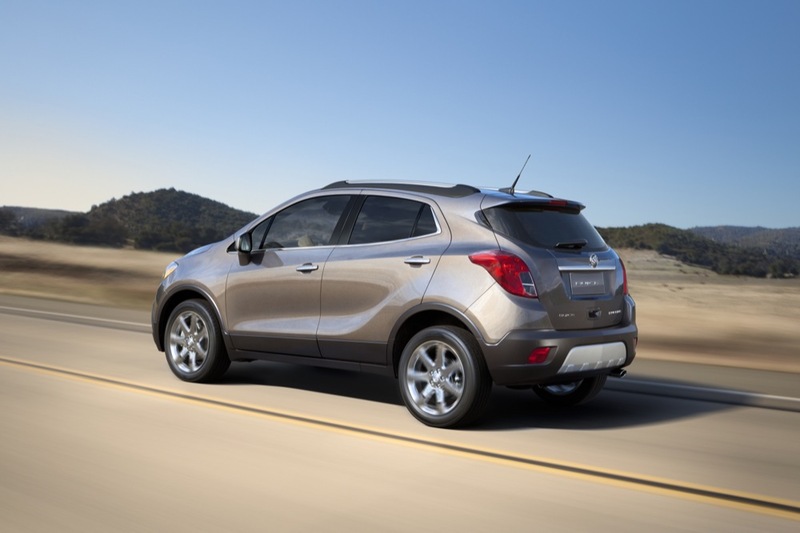 I expect one or two diesel mills for the Mokka in Europe, but that’s about it. 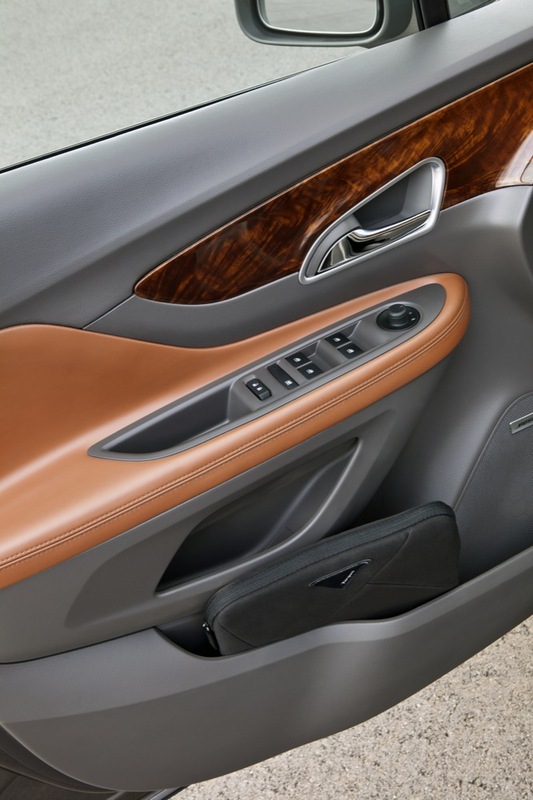 Why cant Buick make Leather standard, are they trying not to be a luxury brand. We have customers who absolutely do not want leather, that’s why. It makes very little sense to you and me, but it helps the bottom line while satisfying a small customer base AND doesn’t seem to bother the majority who do want the leather option. Rob, you are absolutely right about some customers not wanting leather, and the fabric is nice. Some people hate leather; for reasons ranging from appearance, feel, even ethically. Who doesn’t like leather? Those that are not looking for a luxury vehicle, that’s who. Time and time again, leather (or a leather-like material such) has proven to be the factor sought out most by luxury buyers. If we’re talking your average Cruze, Vibe, or Malibu customer — sure, they may not care about leather. 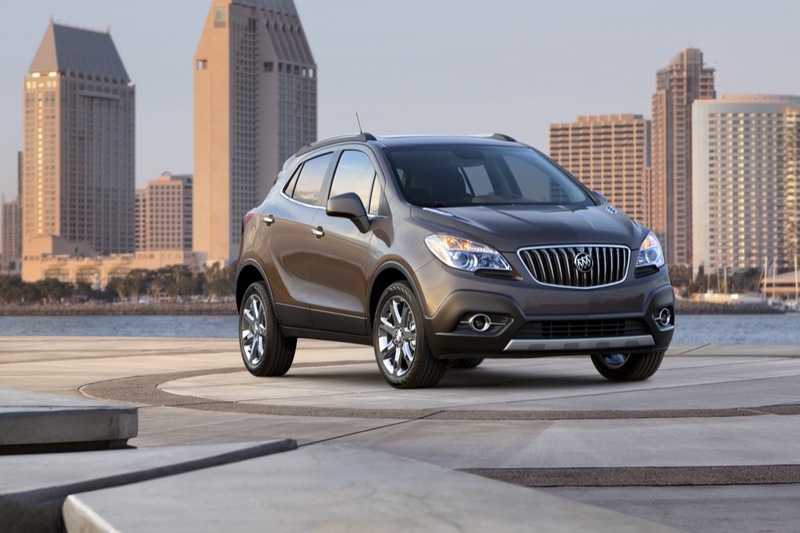 But this is Buick we’re talking about… luxury who? @Rob I can appreciate that. Perhaps she’s not the target market of most luxury marques? Well then I’ll play the ethical card. Say I want an Encore, but I don’t want a cow to involved in the production of it. Call it wussing out, but I’d think that animal rights conscious buyers would warm to the idea; perhaps moreso if Buick is lauching a new product in a developing segment. @Grawdaddy I’m actually with you on that one. That’s why I try to buy cars with leatherette or some other kind of artificial leather-like surface, rather than leather itself. I’m a huge proponent of animal rights (and animals in general). Leatherette (and its various names/uses) even lasts longer than “traditional” leather! Just guessing here, I hope it starts at $19,995 with most selling between $21k and $23k. That should lose the no more than 2k a copy. Make it up in volume. I hope it’s in the mid-$20,000s with more standard features… but it won’t be. Not much of a luxury price, eh? Here’s a better way to “Quiet Tuning”: An electric drivetrain! Bob Lutz spoke at the NAIAS for his new gig with VIA Motors. No quiet tuning for VIA trucks, vans and SUVs…. Since they go 40 miles on all-electric before the GM V-6 gas generator kicks in. How about a full-sized truck, van or boat SUV getting over 100 mpg? Just think…No sound chambers, no special sound deadening, no microphones hidden inside the interior panels, and no special sound system to cover up engine vibration and noise! Wow! – What a concept! You’ll still need to eliminate road noise, wind noise, tire noise, and the 1000s of vibrations from the chassis componentry and rolling stock. Electric would be a great start, but it’s not the end-all-be-all solution to eliminating any and all kinds of noise. I don’t think many people want a total silent running type transportation experience though do you?It could lull you to sleep. I would think even a George Jetson space flyer would have some noise. Blanking out every sensation of rolling or movement through the environment would be creepy. I know during crosswinds and rain with deep puddles the sounds can be annoying. The trick would be to determine just what common-man feels is too much noise or vibration. A Camaro buyer wants vroom, yet a Buick or Caddy buyer may feel library quiet is luxury.Only autonomous rider guy would want sheer silence, yet a passenger can just don earbuds or Bose noise-cancellers .Most of us have driven a boat or two with power everything and zero effort with that floating mush feel over potholes and road seams. I personally feel a balance of quiet with perhaps a whine or woosh of sound when power is applied is just right. I like feeling connected and that the machine under me is responding to my every move. To me that is luxury. Alex, have you driven a Volt yet? It’s a nice blend of a bit of tire noise – Goodyear designed the Assurance Fuel Max tires just for Volt. Low rolling resistance and noise were priorities – but there still is some tire-to-pavement friction noise that seeps in. As you know, the Volt is in all electric mode at 15 mph and under ( using the battery’s buffer ) even in CS mode where the battery pack is fully depleted. At low speed, like parking lots, or stop n’ go traffic, the Volt is silent – just like the rare times my regular hybrid Prius is in all-electric mode. You sneak up on people walking along or riding a bike, it’s kind of fun when they jerk around, reailizing “Hey there’s a car there!”. At speed though, I think it’s necessary to have some form of reality of movement.For safety’s sake if nothing else. Still an EV makes that killer stereo shine as there’s no background growl or hum from the powerplant. 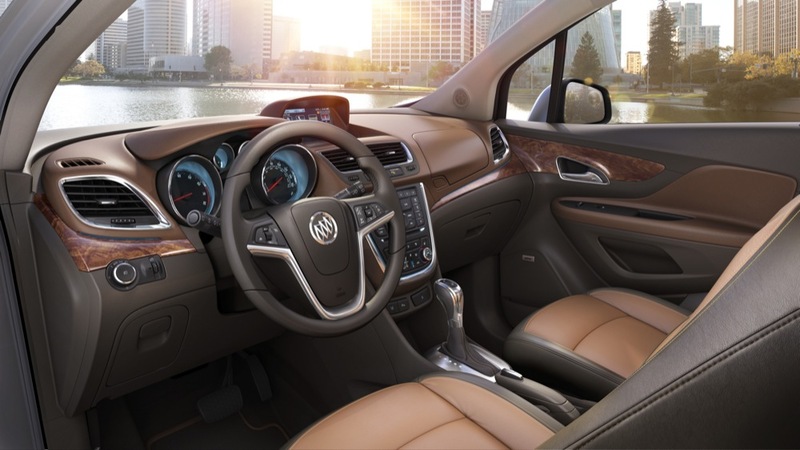 The interior color, tan, is a great change, or addition, if you prefer. Lincoln really missed the boat with this. They introduced the color “Canyon” on the seats, but everything else is black. It makes it look like you put seat cover on the seats. Are there any specs available…engine size, etc.? @Ken Engine size and specs of the Encore? It’s a 1.4 light turbo ECOTEC. The full specs are in the press release button in the main article above. Oh, how about exterior colors? Again, Lincoln has a great color, “Caribbean Blue”. I think the Cadillac Escalade pick-up “truck” also had a similar blue. This would be a great color change for Buick. @Ken You’re right — a wide color palette is something GM seems to be struggling with for all of its brands and vehicle lines. Of course, colors come and go all the time for all automakers — but it seems to be an especially common occurrence at The General. But maybe it’s because we follow GM like a hawk. isn’t carribean blue not available anymore? Several months ago (August) when I did look at Lincolns, it was on a showroom model I thought the color was great. I honestly have not been looking at Lincolns anymore (I bought an SRX instead), but the color really impressed me. because all they have right now is the dark blue pearl. With the Verano pricing starting at $23,500 and the (larger) GMC Terrain pricing in FWD SLE2 trim starting at $27,700, **** I predict that Encore pricing will start at $26,000 and top out at $31,000 fully loaded in AWD. 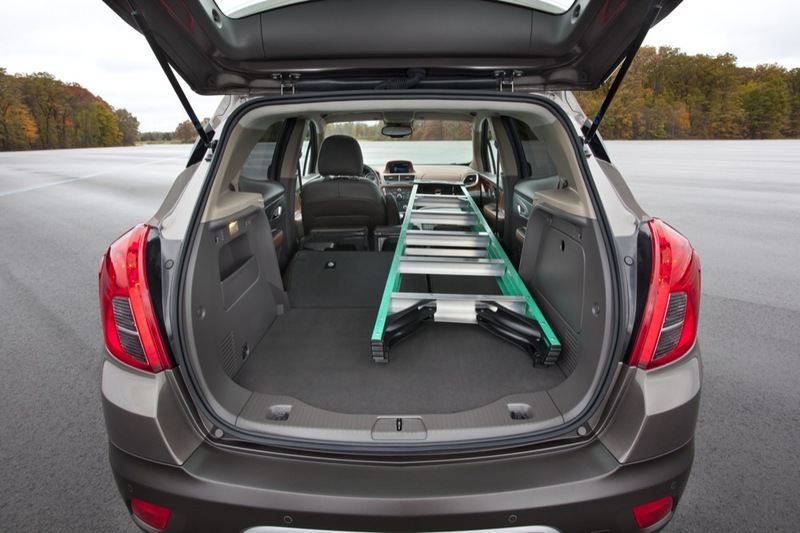 **** I picked SLE2 trim for the Terrain because that is probably as close to the base model Encore trim as possible. OK, I finally saw this in person at the autoshow on Sat. It’s actually bigger than I thought it would be. So, it’s certainly large enough to be functional but not so large as to be overweight and inefficient. Though not as luxurious as the full-scale Enclave, it’s certainly more lux than any other small CUV in the segment…and my wife even likes the look of it. does it look like it’s about the size of a Vibe? Who cares about the Vibe? Got ya. One thing to remember about the Vibe is that it’s a Toyota Matrix, which itself is a hatch variant of the Corolla, thereby making the Matrix a hatch. The Encore, on the other hand, is a crossover. Higher ground clearance and totally different brand/vehicle values. Right… I have driven the Vibe before since I test drove that and the Torrent and felt Torrent was underpowered and noisy on the road. 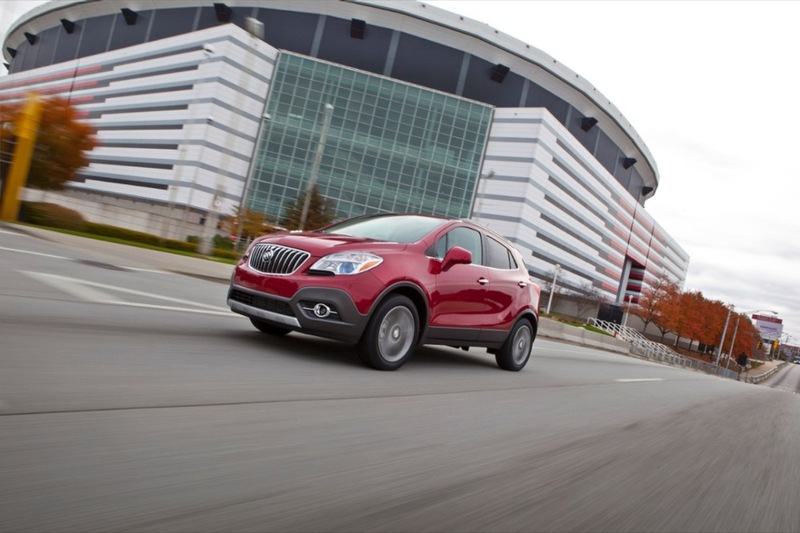 I was thinking about test driving the Sonic since it’s on the same architecture so that I know what it feels like when driving the Encore. Vic, I don’t think you’re going to get any information on the Encore by driving the Sonic, at least I hope you don’t. 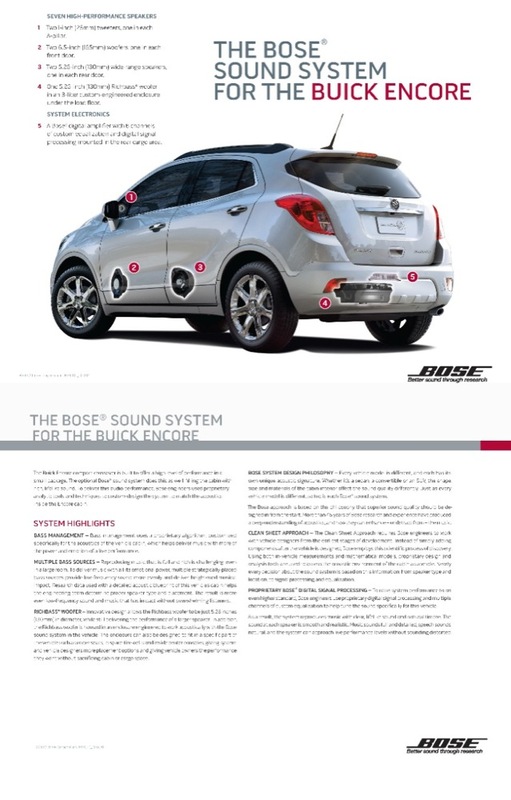 Yeah, I expect the Sonic will drive quiet differently compared to the Encore. 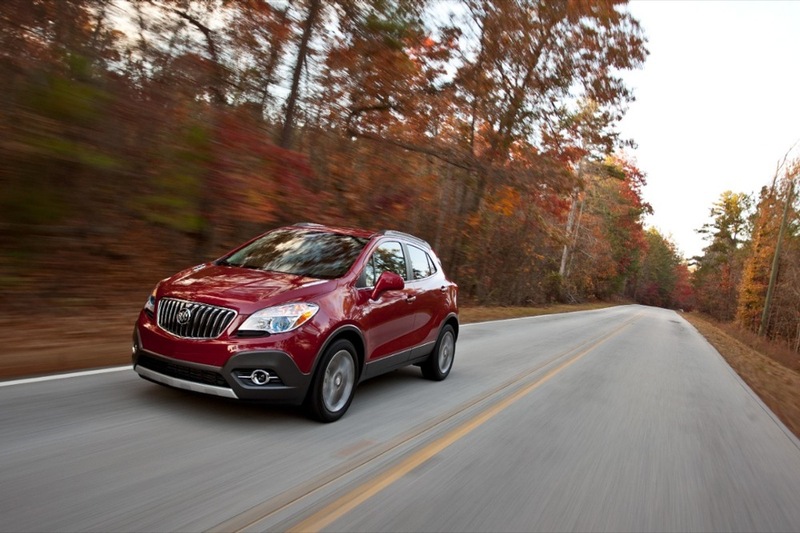 The Sonic is much more nimble and much lighter, while the Buick will be more luxurious, yet still agile for a CUV. I even told my mom’s friend to look at the sonic considering pretty much all asians buy imports… but I just want to kinda have an idea of how it will drive… yes both will drive different but then I just thought that test driving the Sonic will let have an idea of driving dynamics of vehicles from the Gamma architecture.